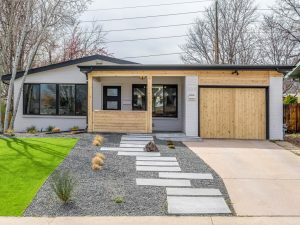 The three most significant factors affecting the real estate market, nationally and in metro Denver, would be 1) low supply of available homes 2) buyer competition 3) small mortgage rate increases–in that order! This is particularly true in high-growth cities such as Seattle, Portland, Dallas and Denver. The entry-level home segment of the market is where bidding wars are becoming typical. The real need for new construction is in suburban communities and urban projects. BTW, it’s not that builders don’t feel like building…it’s just tough! Labor and construction costs continually rise, finding available land at viable pricing is difficult, government approvals and due diligence factors take time, locating skilled workers is a hurdle, and of course financing requirements weigh into final decisions. Higher rates gradually limit the entry-level/mid-range homebuyer’s ability to qualify. At the same time, these rates generate urgency to move before rates increase; no matter the price range. the number of millionaires in the country has exploded! There are approximately 16 million millionaires, but the real story is related to history. In 1985 there were 400,000 millionaires, and in 2008 the number rose to 7.8 million; as of last year, we hit 16 million. Inflation must be factored in and we all realize that a palatial million-dollar home 30 years ago does not resemble the 2018 version. The report from WEALTHENGINE (a leader in wealth intelligence) defines a millionaire as having a net worth over $1 million. That indicates approximately 7% of the adult population in the U.S. are considered millionaires. Not all millionaires are created equal. You have “old” money and “nuvo” money, inherited money and earned money, and many other variations. Their lifestyles, saving habits, buying patterns, travel tastes, “experience” preferences, and choices for goods and services differ by age, geography and family makeup. Some enjoy power and status, some are trendy, and some just don’t care. The age breakdown is as follows: Less than 2% are under 40 years old while 19% are over 80 years old. Nearly 27% are between 40-60 years old and 52.5% are between 60-80 years young. It is also interesting to note that unless you are a multi, multi-millionaire, “Home Equity” accounts for a high percentage of people’s net worth. The Baby Boomer (plus) demographic, (55-80 yrs. old) is in control of about 70% of our nation’s personal wealth. How and where do they choose to live and spend their money? Their wants and needs are naturally transitioning into potentially new lifestyles. There have been many 55+ master-planned communities built in the past 25 years across the country, and in Metro Denver. They remain popular, however there is a strong lifestyle trend toward living in a more urban environment and newer suburban “town center” developments, while half choose to remodel their current homes. They prefer more of a one-level floorplan, windows for natural light, higher ceilings, higher-end modern finishes, attached garages, 2 bedrooms and baths, and flex space that can be used for an office, den, hobby room and of course for their grandchildren. Did you know that the new “Coloradan” condo development being constructed in LODO has well over 300 units that will be ready for occupancy by late Summer / early Fall, and is about 80% sold out? This beautiful project is filled with amenities. The largest amenity is simply the location! The walkability factor to restaurants, Riverfront, all sporting venues, the DCPA, Union Station, and of course the largest Whole Foods in the country are all part of the success formula. It is projected that approximately 30-35% of the buyers easily fell into the Boomer (55+) generation. Millennials are very influential in today’s culture…but, Baby Boomer desires will still command great respect. With help from LIV SIR Colorado Real Estate Diary and Steve Blank. Find the original article here.